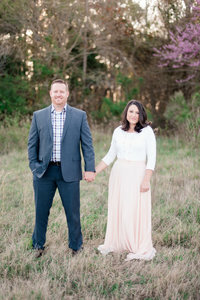 This VA Beach Engagement Session is one of my favorites! As Hillary & Jason pulled up and got out of their car they looked like they just stepped out of a J.Crew ad. They both looked great and the marina in VA Beach was perfect for them! As we walked around I just loved getting to know them. They are both so genuine, down to earth, and easy to talk to. Jason is a computer engineer and Hillary is in Pharmacy school. These two are so dedicated! And in the mix of that they are beginning to plan for their wedding! Talk about a lot on their plates! And yet they are both so calm and relaxed that it was refreshing to be around them! I just love hearing proposal stories. And this proposal was just so sweet I had to share! Luke & I had so much fun with these two! They were such great sports even at our weird requests! Thank-You Hillary & Jason for a great time and we hope you enjoy these as much as we do!